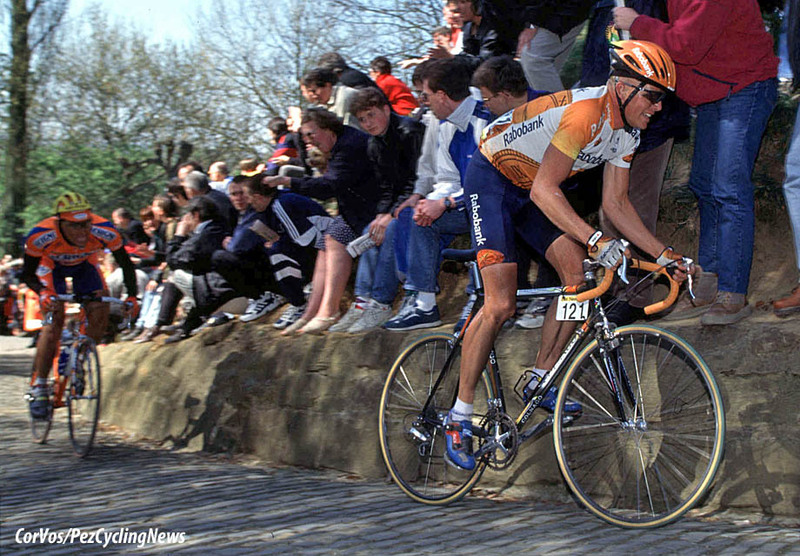 With the Tour of Flanders this Sunday, Ed Hood got hold of 1997 Ronde Van Vlaanderen winner, Rolf Sørensen, to hear how to win on those Flemish cobbles and Muurs. The great Dane gives us a blow by blow account of how he pulled off his incredible victory, even after a very long break before the finalé. You can see the 2019 PEZ Flanders Race Preview HERE and the team line-ups in EUROTRASH Thursday HERE. 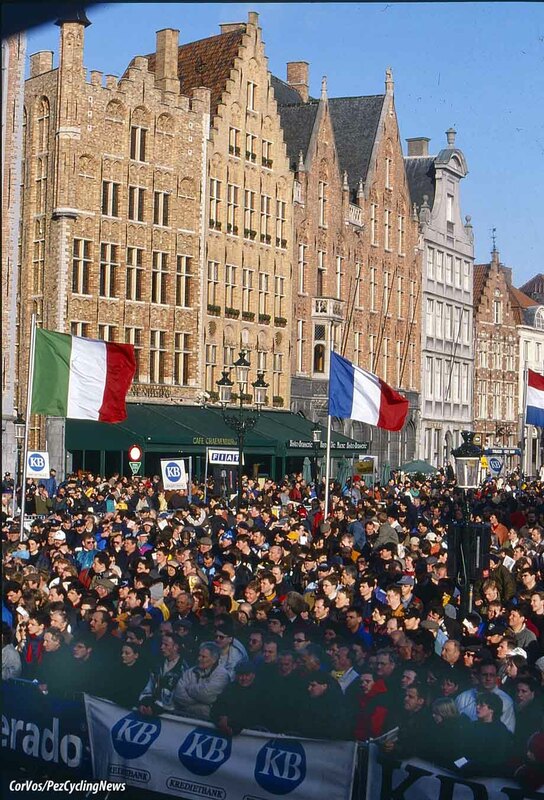 Sunday, the 6th of April 1997 saw the 81st edition of the Tour of Flanders start in the market square of Sint-Niklaas, the biggest market place in Belgium. 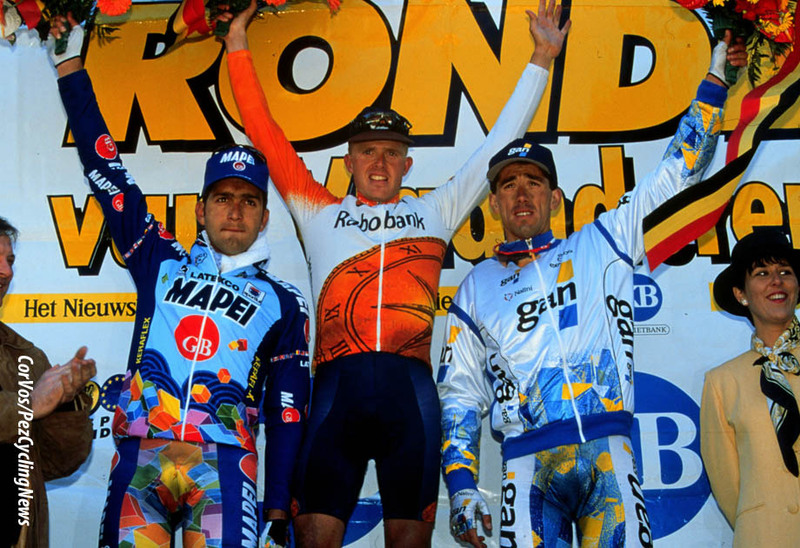 This was the last time De Ronde would start in Sint-Niklaas as it moved to Bruges in 1998. 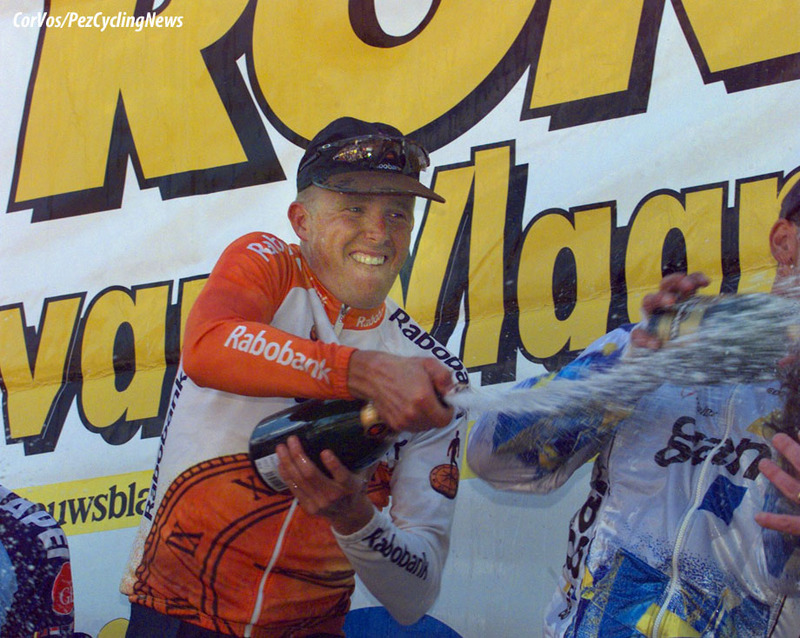 It was the second event of the 1997 UCI Road World Cup and Rolf Sørensen won, the first and only Danish winner of the Monument Classic. Peter Van Petegem made the first significant move on Oude Kwaremont, but couldn't force a viable breakaway. 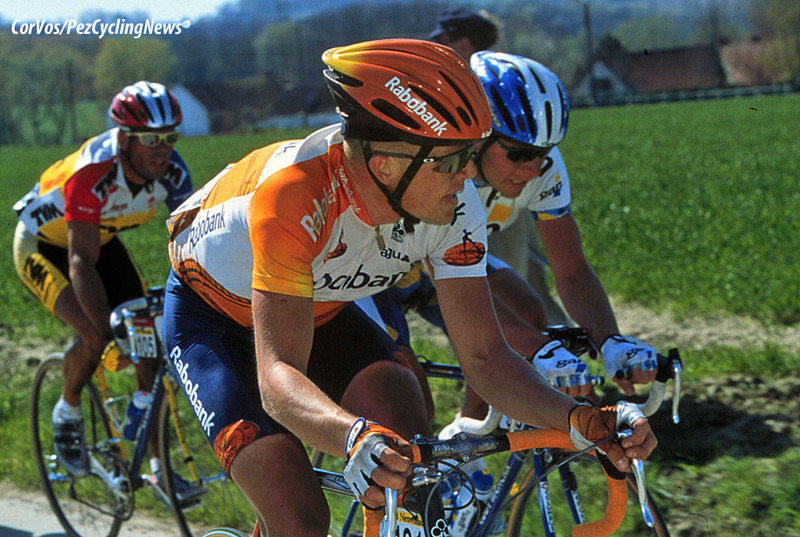 On Taaienberg, 50 km from the finish, French star Laurent Jalabert broke away, followed by Sørensen. 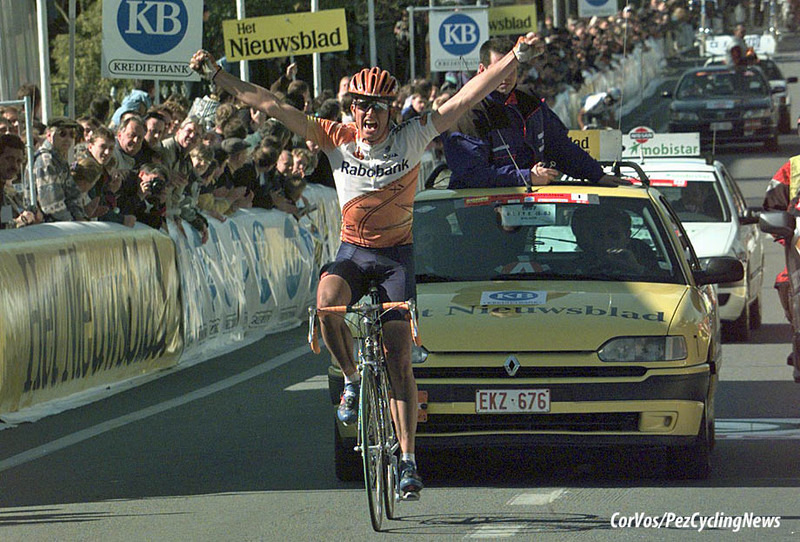 Race favourite and World champion Johan Museeuw crashed at the foot of the Berendries and was unable to return to the front of the race to eventually finish in 13th place. 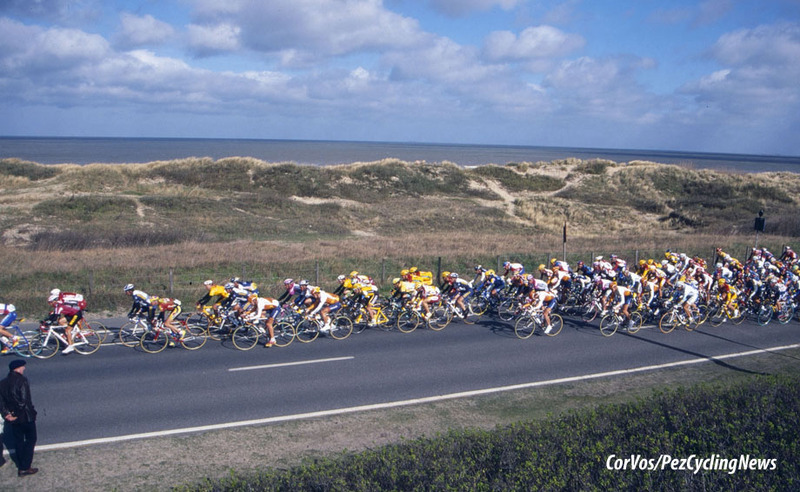 Jalabert was dropped on the Berendries, as Van Petegem and Italians Franco Ballerini and Davide Casarotto joined Sørensen at the front. On the Muur van Geraardsbergen the lead four were joined by seven others, including sprint specialist Frédéric Moncassin and Andrei Tchmil. In the final 10 kilometres, Moncassin, Sørensen and Ballerini broke away and pushed on to the finish. Sørensen attacked under the one-kilometre banner and powered on to victory. Moncassin out-sprinted Ballerini for second place. "The Tour of Flanders is the most difficult classic to win for sure, you have to be able to climb, ride the cobbles, cope with the cross-winds for the first 150 kilometres and ride the small roads – it requires you to be able to manage every skill there is in cycling." If the man telling you this happens to be Rolf Sørensen of Denmark who won Paris-Tours, Paris-Brussels, Liege-Bastogne-Liege, Henninger Turm, an Olympic silver and... the Tour of Flanders in 1997 during his 17 years as a pro you simply cannot argue. 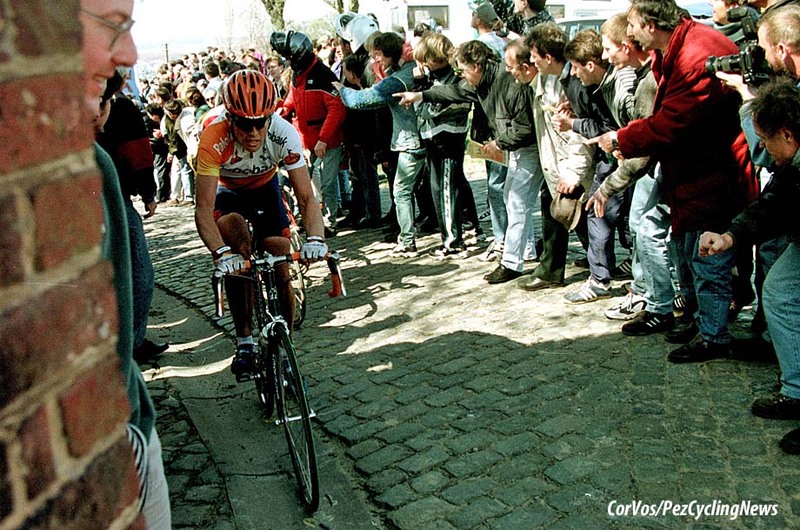 "At Roubaix it’s a marathon but the strongest wins, in the Ronde the strength is not enough, you must have the skills. 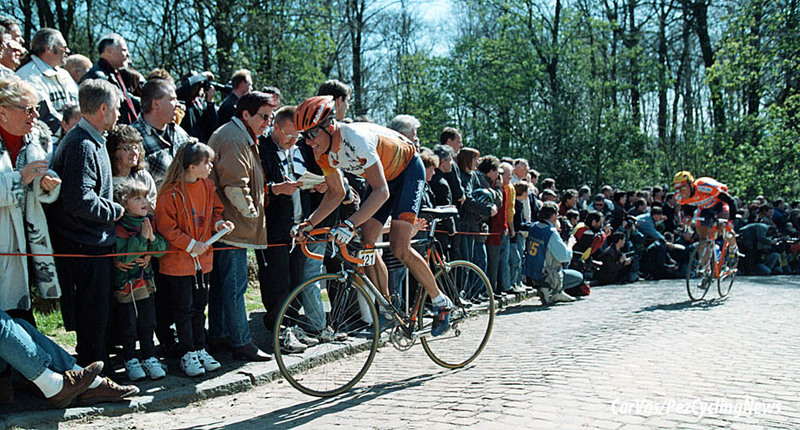 Unless you have lived in the area and trained on those roads every day a rider could not go out and win that race at first time of riding it, I rode it 10 or 11 times before I won it, experience is everything at Flanders. It’s not the same with Liege, the guys who do well there – Casagrande, Rebellin, Di Luca they could never win at Flanders you need the skills and the horse power." 'So what about your Flanders win Rolf, tell us about it,' I say, getting back into my box. 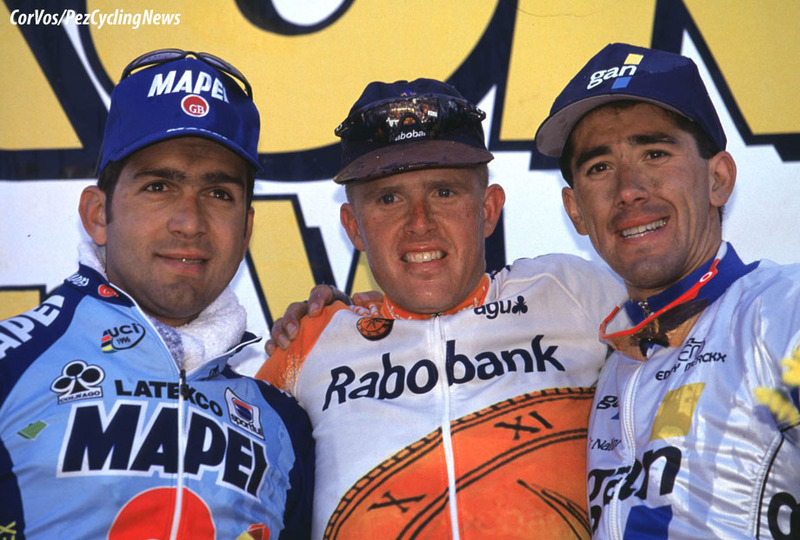 "In 1997 I was with Rabobank and I was in good form coming in to Flanders. I had been third and fourth in the race and I knew that I had it within me to win. 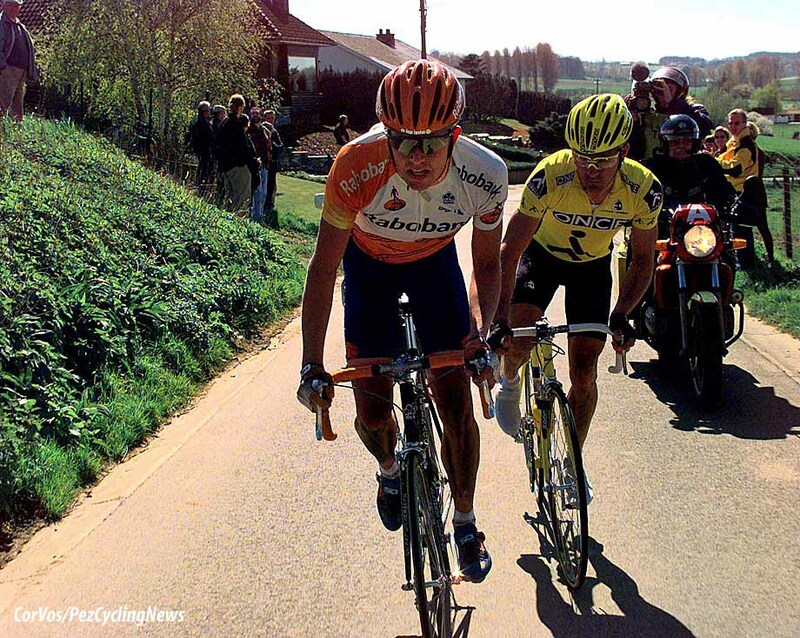 At the top of the Taaienberg I bridged-up to Jalabert [a prolific winner including the 1995 Vuelta and 1997 world time trial title] but there was still a long way to go, we looked at each other and decided, 'let’s give it a go.' We did about 20 kilometres then on the Berendries climb I dropped him, it was then that I realised just how well I was going." "I was re-caught by the lead group on Geraardsbergen and by the Bosberg [the last climb] there were seven or eight of us. I was playing the under-dog and the others thought I had nothing left, but I actually felt really good. 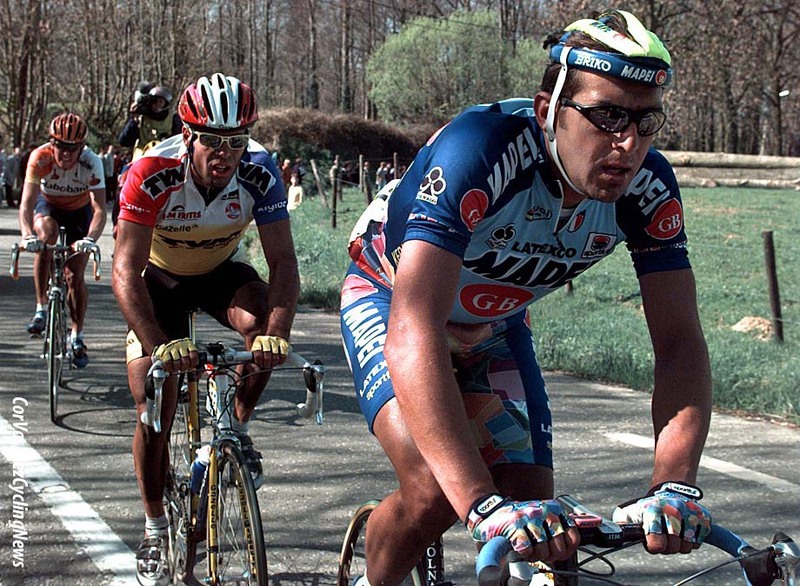 With seven or eight kilometres to go Franco Ballerini [Italy and Mapei, twice winner of Paris-Roubaix] attacked and I went with him, but so did Frederic Moncassin [France and GAN, a very good sprinter with Tour stage wins to his credit]." 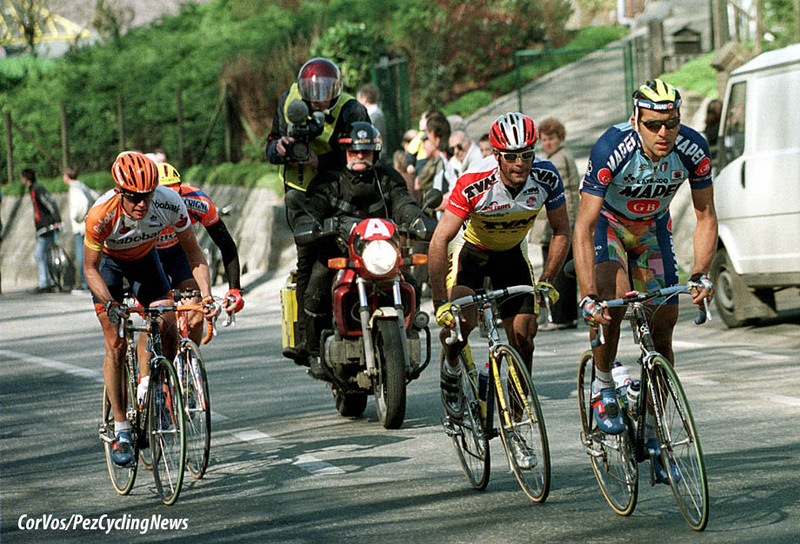 "Ballerini and I knew we had to attack Moncassin or he would beat us in the sprint. Ballerini attacked first and Moncassin brought him back but I could see that he was close to his limit. I attacked just before the red kite [signifying one kilometre to go] and I knew immediately I would win because Moncassin did not have anything left and Ballerini wouldn’t bring him up." 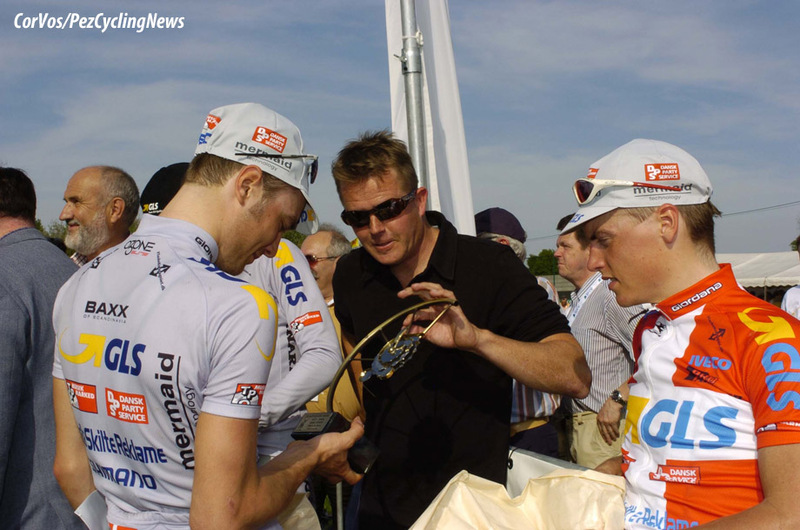 "I managed a good Danish squad – team GLS – and in 2011 we rode the Under-23 Liege-Bastogne-Liege. It’s over the same roads but maybe 50 kilometres less and we got first, second and fourth, Those same riders didn’t make the top 25 at Flanders." Once is enough to question Rolf Sorensen in any interview! As well as the Tour of Flanders, Sorensen also won Liège–Bastogne–Liège, Paris–Brussels, Paris–Tours and Milano–Torino, plus the Coppa Bernocchi twice and the Rund um den Henninger Turm. 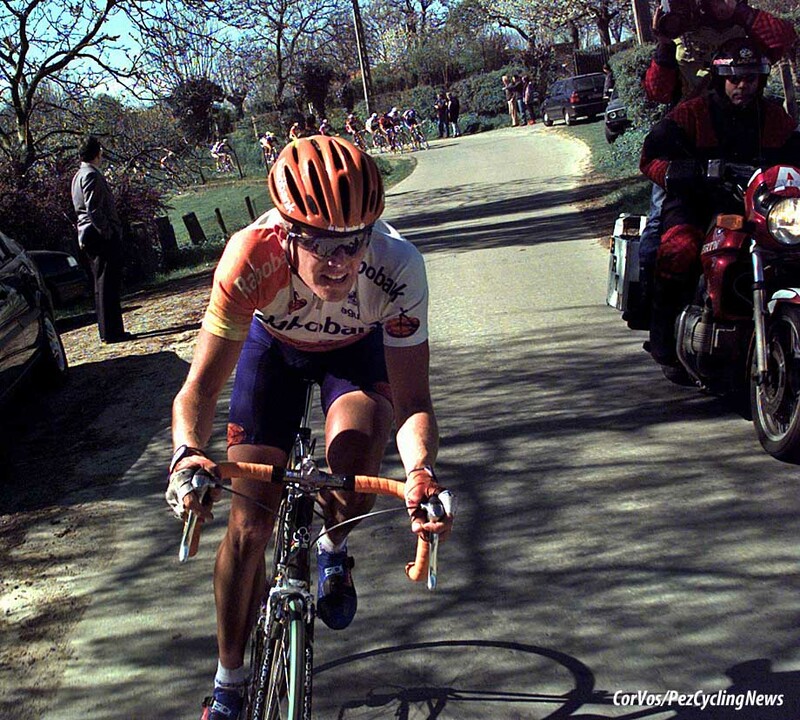 He was second in 1997 UCI Road World Cup and also finished third in 1989 and 1991. 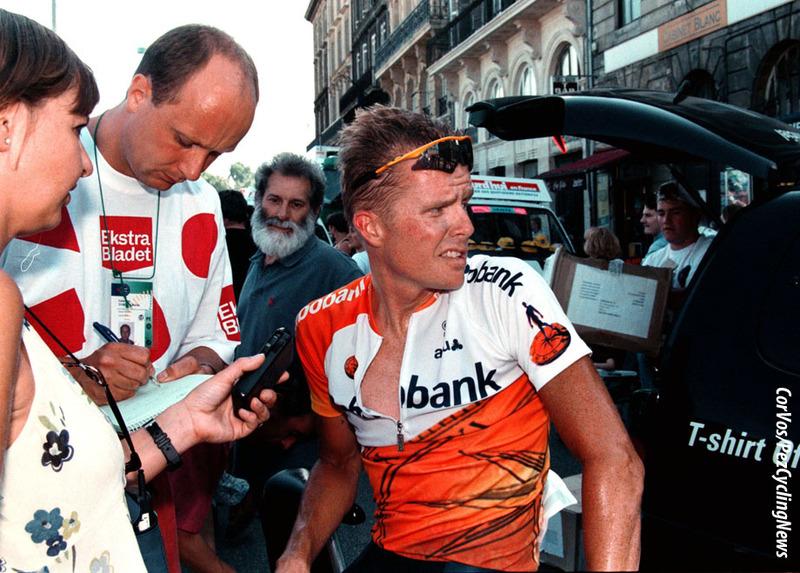 Sørensen participated in the Tour seven times, the last in 2001 and won stages in the 1994 and 1996, and wore the yellow jersey after the team time trial in 1991. 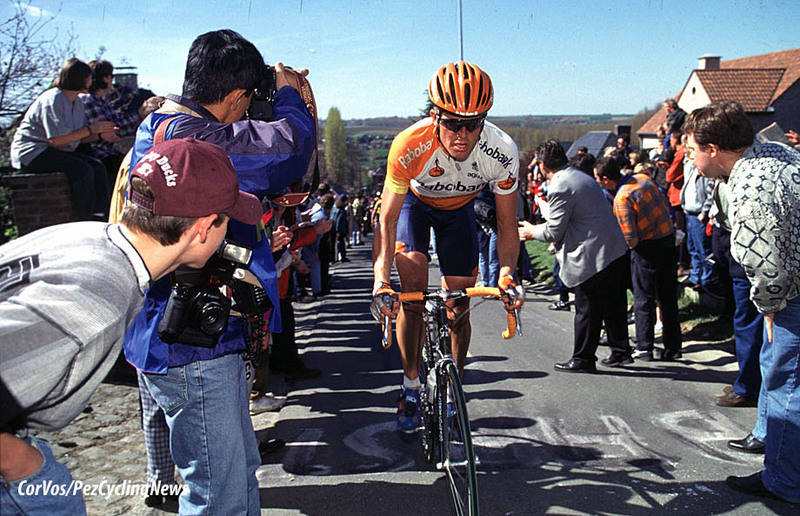 He also won a stage of the 1995 Giro d'Italia, three stages in the Tour of the Basque Country, six stages in Tirreno–Adriatico, two in the Tour de Suisse, and two in the Tour de Romandie. Sørensen finished second in the 1996 Olympic Games road race behind Pascal Richard for the silver medal. 1st. 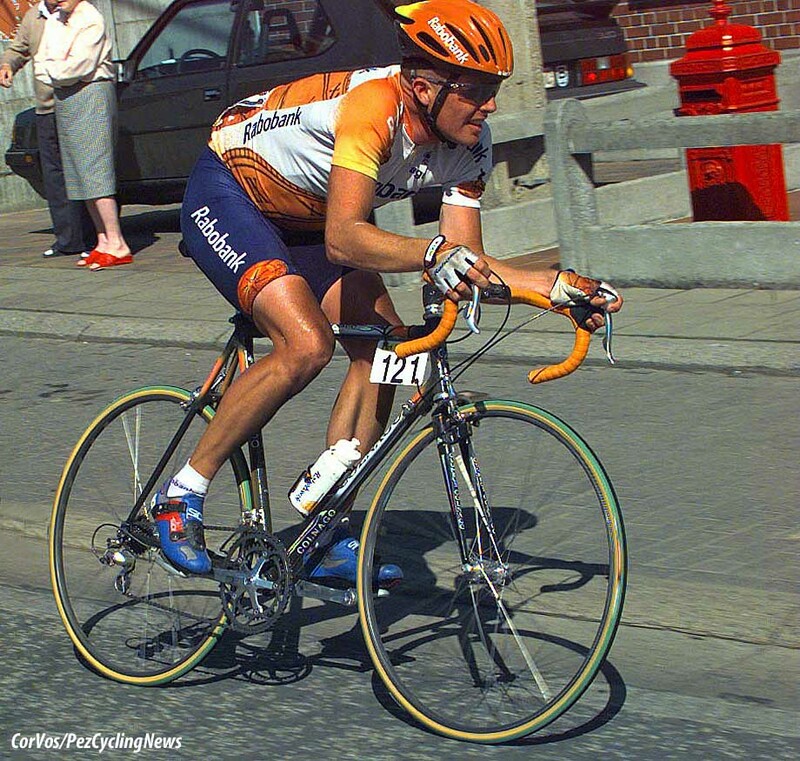 Rolf Sørensen (Den) Rabobank, 2nd. Frédéric Moncassin (Fra) GAN at 7 seconds and 3rd Franco Ballerini (Ita) Mapei-GB at 8 seconds. 25. Paolo Fornaciari (Ita) Saeco.